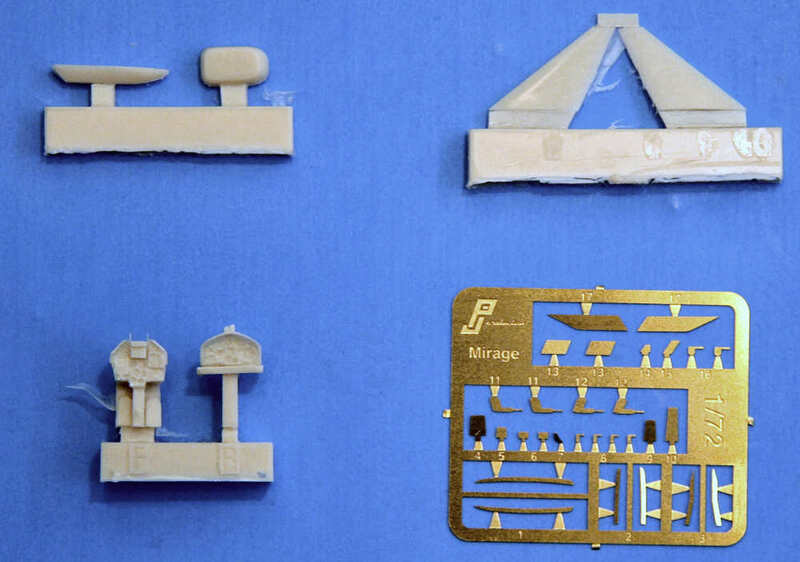 Belgium's PJ Productions has just released a multimedia conversion set for their Mirage 5BA/BR kit ( 721027). 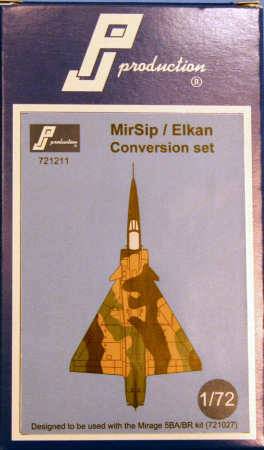 This MirSip/Elkan (The Chilean Air Forces version of the MirSip/Elkan series) upgrade kit comes inside a small folded box and includes one tree of 29 photo-etched parts, and six resin parts; two parts per each resin block. 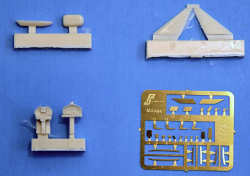 The PE parts (which include various nose chines, pitot tubes and strakes) are delicate in this scale so great care must be taken in separating them from the sheet they are attached to. The resin pieces (Pilot and co-pilot/WSO instrument panels, canards and IR targeting blisters) did have some residual flash that can be cleaned up quickly with a few scrapes of a sharp hobby knife. Instructions are clear and concise, guiding the modeler on which parts are applicable for the single seat "Elkan" or the dual-seat "Mir/Sip". Overall, this is a nice upgrade box set that I wish included a piece of clear styrene for the HUD glass and a set of decals for the Chilean Air Force.